Those of us who are regular twitter users might have noticed when, a while ago, twitter started pushing updates that inform us about what some of the people we follow have been up to. I would wake up and find that A, B & C users have favorited a tweet, or retweeted user X, or followed user Y. Although I initially had mixed feelings about this feature since I didn't really solicit that info, I grew to like it as it often offered valuable insights into interesting updates and users to follow. Appeer does just that to the process of discovering interesting apps for your (Android) smartphone. Once installed and activated Appeer will introduce the user to a community of...yes you guessed it...peers, who each would willingly allow the community to discover when they install an App in exchange of knowing what others are installing. After all sharing is caring as they say. Using the follow and follow back approach, along with a timeline tab and a recommendation tab, one is definitely bound to receive custom tailored recommendation based on community interaction. The app also allows the user to export their own list of installed apps as well as bookmarking of interesting suggestions for later review. I joined their beta community and I must admit that in spite of being still in beta and several bugs being reported, the app seemed already mature enough. Of course large scale adoption might bring to light more user requests or bugs surfacing but that's just the nature of the beast. The team behind the app seem dedicated and responsive enough to ensure smooth sailing. 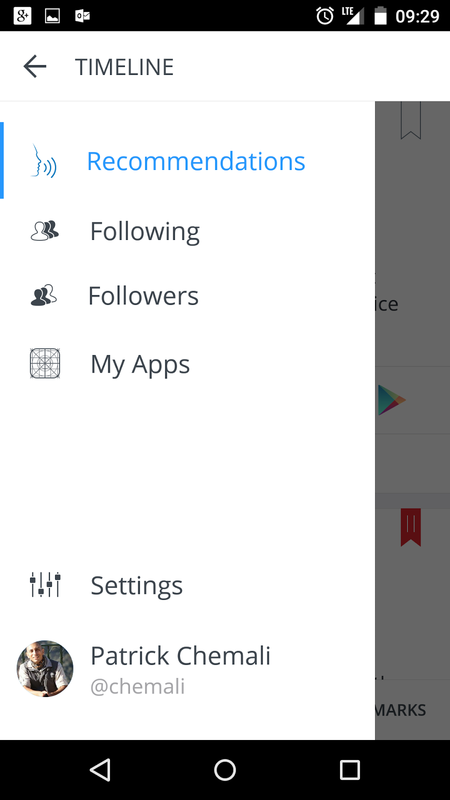 - Appeer will give users an unprecedented insight into the world of apps based on their own app inventory and the personal network of people they follow. - Using an algorithm based on app inventory and social connection to build a tailor-made list of app recommendations, Appeer improves on the current app discovery process. - According to Nielsen, users spent an average of 30 hours, 15 minutes on their apps in Q4 2013, a full half-day more than the 18 hours, 18 minutes spent in Q4 2011. However, this rise in use does not mirror the average number of apps used, which only increased from 23.2 in 2011 to 26.8 apps per month in 2013. 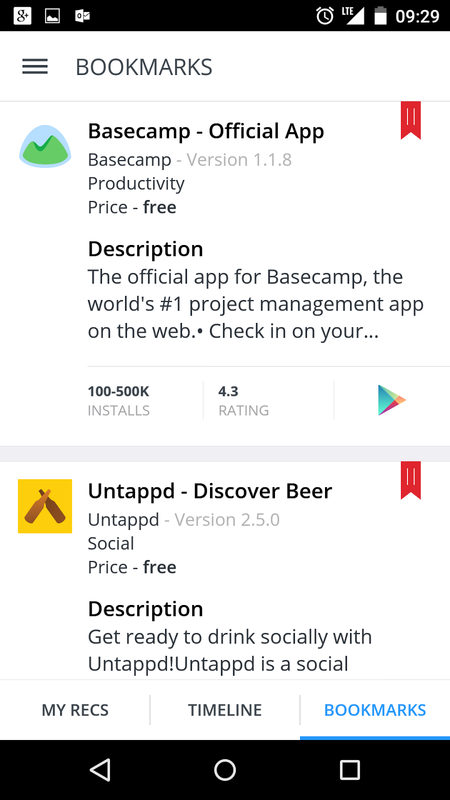 March __ 2015, Austin-based Appeer announces the launch of its app recommendation platform, aims to provide a personalized app discovery experience for its users. 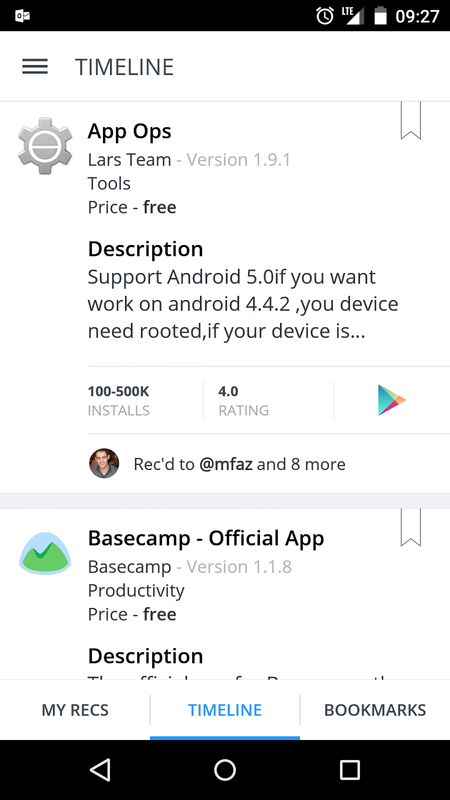 Available March 6, 2015 for free via Google Play for Android devices, Appeer will give users an unprecedented insight into the world of apps based on their own app inventory and the personal network of people they follow. Designed as a sleek app recommendation engine that is both user-friendly and powerful, Appeer app looks beyond paid app ads, review sites, and “popular app” sections of app stores to pair its users with the perfect app or game. Utilizing an algorithm that automatically follows people on behalf of a user in order to build a tailor-made list of app recommendations, the Appeer improves on the current app discovery process. “Within 30 seconds of opening the app for the first time Appeer offers dozens of personally tailored recommendations that will update regularly,” says Appeer Co-Founder and CEO Jason Allen. “This app bypasses so many of the issues that consumers have when trying to discover the next great app,” he adds. The app’s suite of features include push notifications that allow users to install a recommended app directly from Google Play, a viewable timeline of recommendations, and the ability to export the user's app inventory to four different formats. “Additionally, users will be able to bookmark recommended apps so they can check them out later, even if the recommendation comes to them through a push notification,” says Appeer Technical Co-Founder Komra Beth Salo. “If they really like an app, users can share the recommendation via Appeer to their contacts or friends on social networks,” she adds. 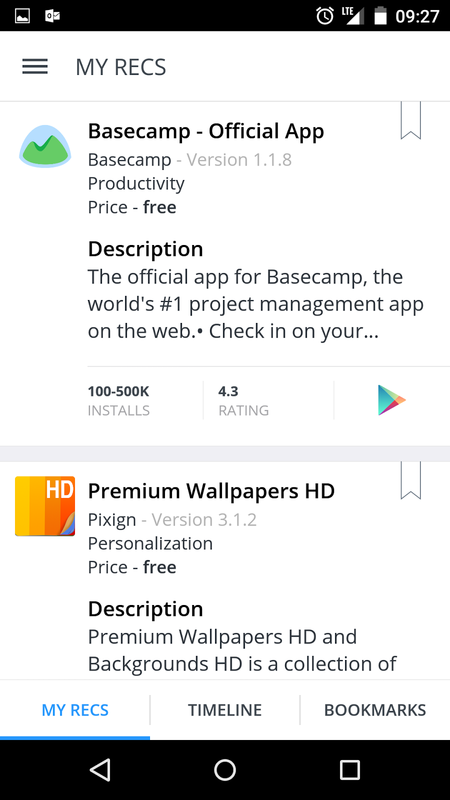 “Our competitors are being paid to recommend apps to their users. Appeer only gives organic recommendations because our focus is on providing the best recommendations for our users,” explains CEO Jason Allen. As the adoption of smartphones continues to rise on a global scale, so does the overall time we spend using apps or playing games. According to Nielsen, users spent an average of 30 hours, 15 minutes on their apps in Q4 2013, a full half-day more than the 18 hours, 18 minutes spent in Q4 2011. However, these figures are not mirrored by the average number of apps used, which only increased from 23.2 in 2011 to 26.8 apps per month in 2013.
app discovery tool like Appeer. Aiming to change the way we discover new apps, Appeer moves beyond the “Top App” charts highlighted by the App Store and Google Play, and places the focus back on the individual user. Founded in 2014 by Jason Allen, Komra Beth Salo and Milan Cubic, Austin-based Appeer is a new Android app, which aims to change how users discover great new Apps and Games. The Appeer app creates personally tailored app and game recommendations based on a user’s profile. Recommendations can be viewed in the app or received by the user via notifications on their device.